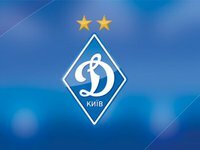 FC Dynamo Kyiv has denied reports alleging that the club could be expelled from European competitions due to financial debts. In response to reports released by the Ukrainian media, the club published on its official website a response from Head of Financial Monitoring and Compliance at UEFA Pablo Rodriguez, which states that the CFCB Investigatory Chamber did not open an investigation against Dynamo with regard to the license received for participation in the 2017/2018 UEFA competitions. "Furthermore, with regard to the monitoring of overdue payables during the season, Dynamo Kyiv has provided UEFA with all relevant supporting documents which demonstrate that the club is up-to-date with its declared payment obligations," the document says. Dynamo sent a letter with the given information to President of the Football Federation of Ukraine Andriy Pavelko. The club said in the letter that it hoped to get apologies for an incorrect statement by Deputy Director of the FFU Licensing Center Serhiy Zadyran, who said that Dynamo could be excluded from European competitions due to alleged debts on financial obligations.